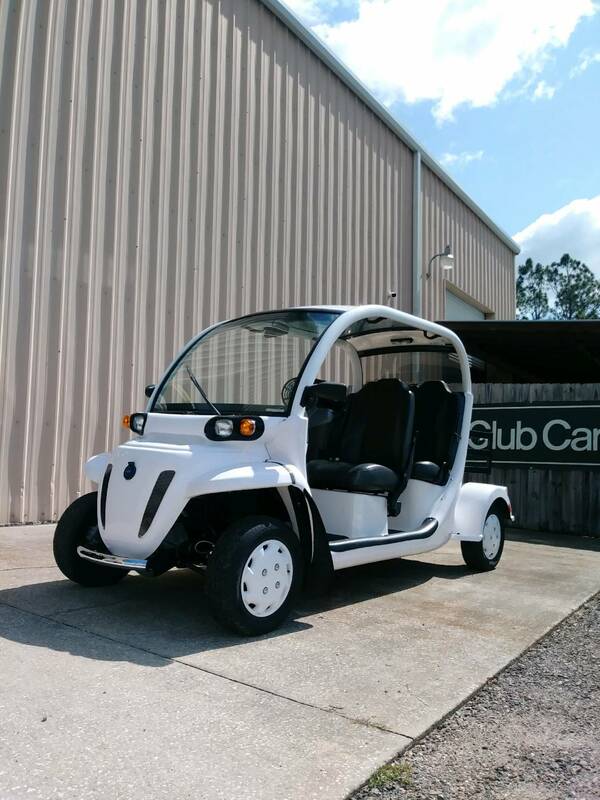 Electric Gem golf cars, engineered by world-renowned Polaris Industries, are sold by Gulf Atlantic Vehicles in New Smyrna Beach. Gem golf cars offer a host of exceptional benefits, including more maneuverability and efficiency than an ordinary golf cart…not to mention an extremely low carbon footprint since they release absolutely zero emissions. All Gem golf cars offer rugged frames, long-lasting durability and, of course, lower operating costs than gas-powered vehicles. Gem golf carts are also the epitome of comfort. The ride is smooth and stable in a Gem vehicle and the interiors are spacious. Additionally, they offer more safety features than a standard golf cart. Their built-in, street legal safety features include three-point safety belts, headlights, and turn signals. These exceptional machines can be used for passenger transportation, shuttles and tours, indoor and outdoor hauling, security patrol, hospitality, housekeeping and so much more. Purchase a Gem passenger golf car, and you will be able to transport up to six passengers in car-like comfort. Opt for a Gem utility vehicle, and you will enjoy 1,400 pounds of payload. That’s a lot of payloads – enough to get just about any job is done. And choose from hundreds of options and accessories to create the exact custom vehicle you need. If you have any questions, please feel free to stop by Gulf Atlantic Vehicles’ convenient location on Pioneer Trail or call us at 386-427-9778.